Still on the fence about Nintendo's latest push into VR? 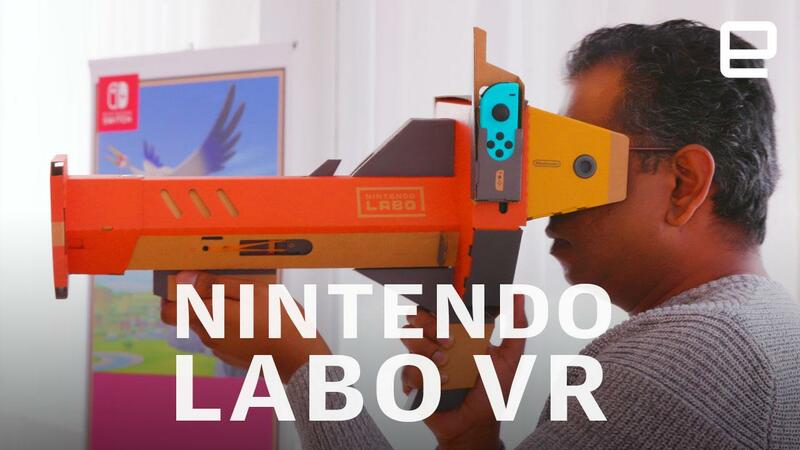 There's one more thing to know about Nintendo Labo VR: it will work with hit Switch titles Super Mario Odyssey and The Legend of Zelda: Breath of the Wild. According to Nintendo you won't have to press it up to your face to replay either game in full, instead updates will enhance each title in different ways. In Breath of the Wild, players can jump in and out of the VR experience at will, while playing the same game as always. In Super Mario Odyssey, however, it will gain three "bite-sized bonus experiences" crossing the Cap, Seaside, and Luncheon Kingdoms. Software updates for both titles will arrive on April 25th, a couple of weeks after the VR kit and its accessories hit shelves on the 12th. Nintendo didn't say whether VR upgrades are planned for any other games, but if the add-on takes off then the potential is certainly there.